The Washington, DC Metro HBCU Alumni Alliance, Inc.’s (DCHBCUAA) community outreach mission is to improve the health and well-being of our communities. Our efforts are aimed at reducing health disparities that are pervasive in predominantly African American communities. Depending on where you live in the Washington, DC area, there is a 15 year difference in life expectancy. Our programming is focused on addressing the social determinants of health and our priority areas are Health & Wellness, Hunger Awareness, and Higher Education. By leveraging the full value of the Alumni Alliance, we educate the community, provide financial resources, offer volunteers, and work strategically with our community partners to make a measurable impact to address the following issues: health, hunger, and education. 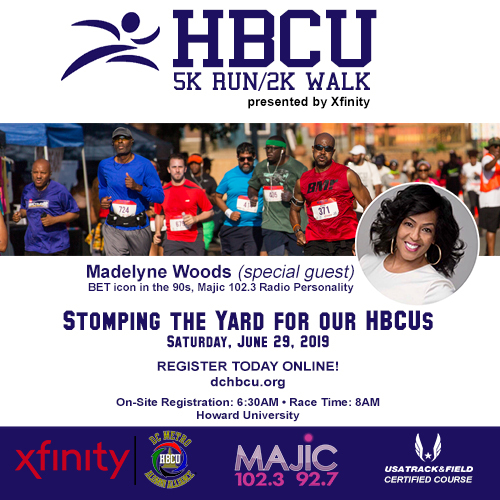 We are asking our DMV Wildcats and supporters to please register for the race or make a donation. A portion of the proceeds will go to our alumni chapter. Registration is $40 before May 1, 2019, after May 1, the cost is $45. Thank you for continued support!